If you have a small area of mould (under one square metre) and the mould is growing on easy-to-clean surfaces like glass, metal, tiles, or sinks, then DIY spot removal can be a good solution. 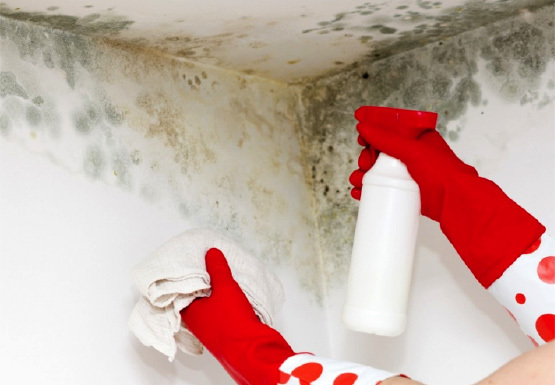 But if your mould is systemic, in a large concentrated area and growing on hard-to-clean materials, it’s better to call in a mould remediation professional. You have a medical condition that might be made worse by increased exposure to mould, such as asthma, environmental allergies, or an immune system disorder. You are already experiencing symptoms of mould-related illness. If you are concerned about mould in your home, contact us for professional and safe mould removal treatment. Our service is so effective it can stop mould for up to 3 months! You can breathe easy knowing your home is mould-free.